The month of February flew by due to the week-long Carnaval festivities. Visitors Katie Simmons and Chris McNulty arrived in time for Independencia’s Carnaval parade. 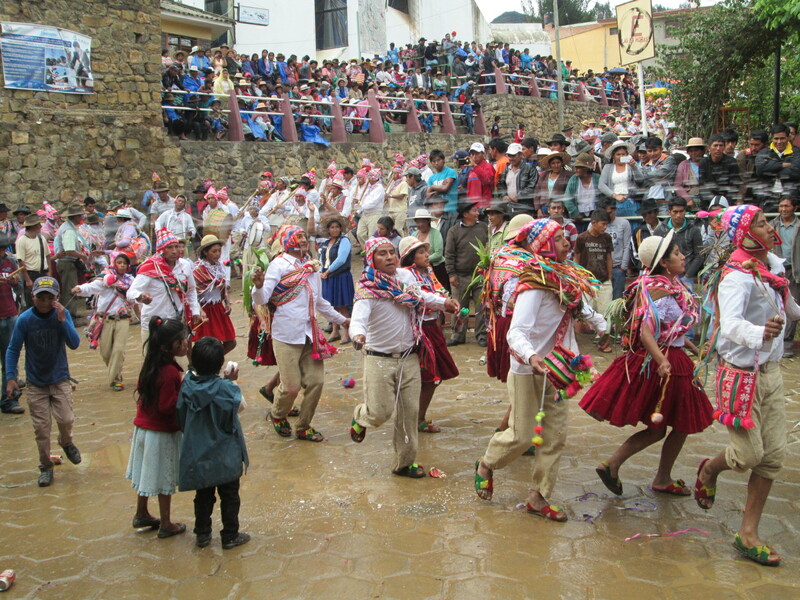 Local communities competed for the 5 cash prizes awarded for the best traditional dress, music, and dance during their 20 minute performance in the plaza. Spectators kept one eye on the dancing and one eye on the lookout for incoming water balloons. The dancers were prey to the water balloons, water guns, buckets of water refilled from the plaza fountain, and foam from spray cans. The muddy and slippery streets made for treacherous footing. The spectators were attired in raincoats or covered with sheets of blue plastic that sell for $1.00 per meter and effectively warded off the rain and wetting from the water balloons. youths. Weaver Doña Alicia was among the women peeling a mountain of potatoes. 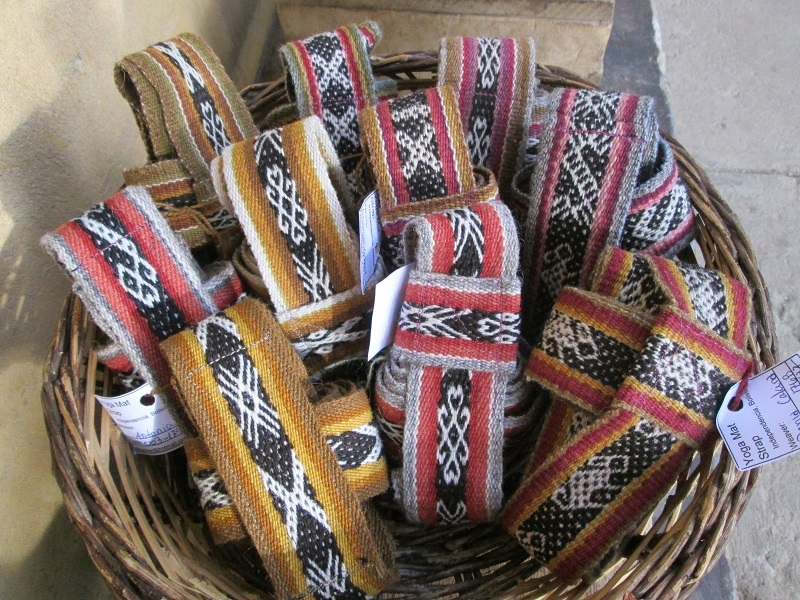 Later she told Doña Máxima that although her family is Evangelic Christians and don´t participate in events serving chicha, she came to help as a way to repay Doña Maxima´s guidance in improving the color combinations of her weavings. Doña Máxima and family looked on the verge of collapse, and she admitted to not having much sleep for two weeks. The chicha (fermented corn beverage) preparation the week before had involved a couple of long nights of stirring the corn mash mixture. Two meals were served before the music and dancing started in the late afternoon. Six sheep had been butchered and the meat was boiled in a huge copper pot heated with firewood. 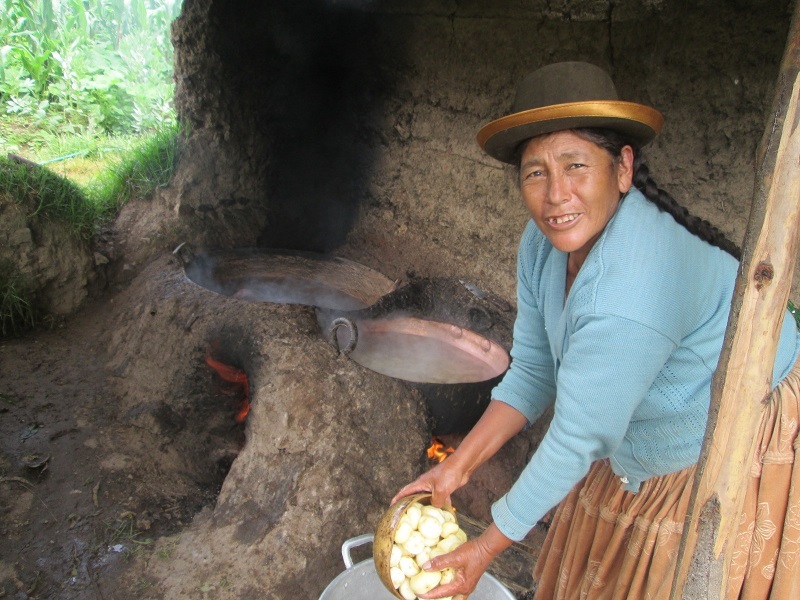 Many women of the community had arrived early to peel that mountain of potatoes that were boiled in the adjoining copper pot. The Organization of Men´s Clubhouse had been turned into an indoor kitchen, serving area, and dormitory. While the women cooked the men drank chicha and held a ceremony prior to raising the Carnaval banner. 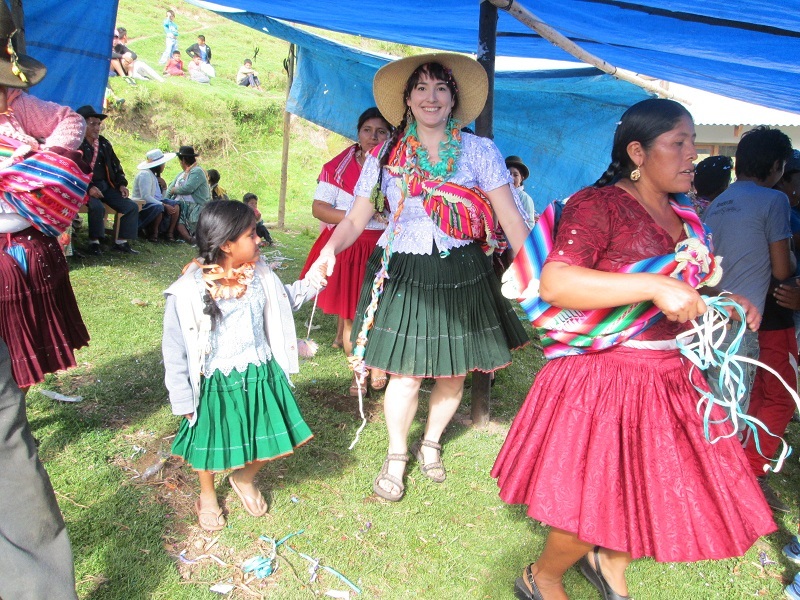 The women and girls were in a mix of western wear and polleras (skirts), although many who prefer western wear had donned a pollera for the dancing. 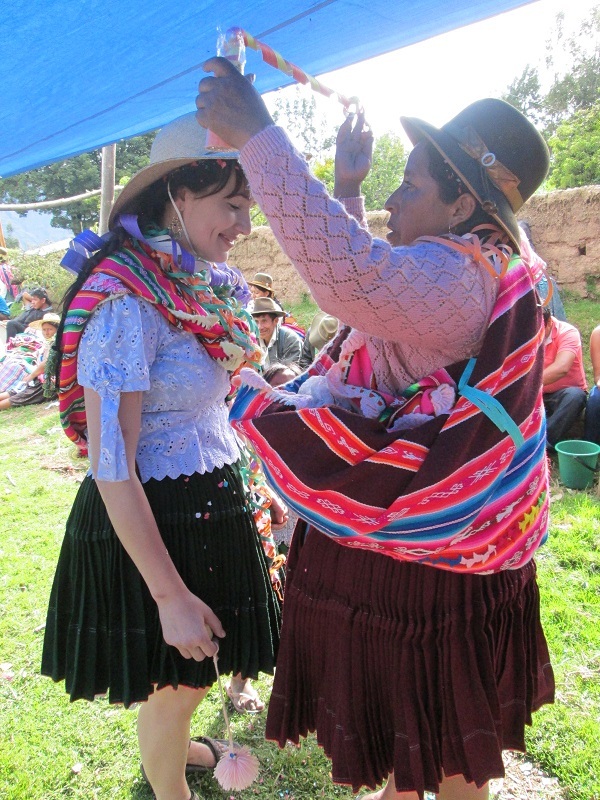 Katie was outfitted with one of the bayeta (loosely woven wool cloth) polleras Doña Máxima had made for Carnaval. Dorinda wore the bayeta pollera that was made by CdA members and dyed with cochineal during a Club dye day. 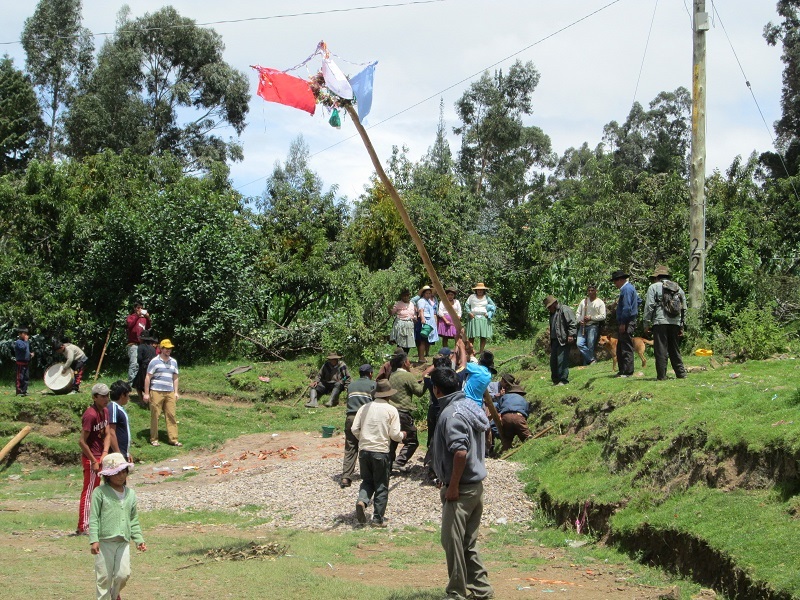 In the midafternoon residents from the city with roots in Huancarani began arriving. The teens brought water balloons and spray foam. 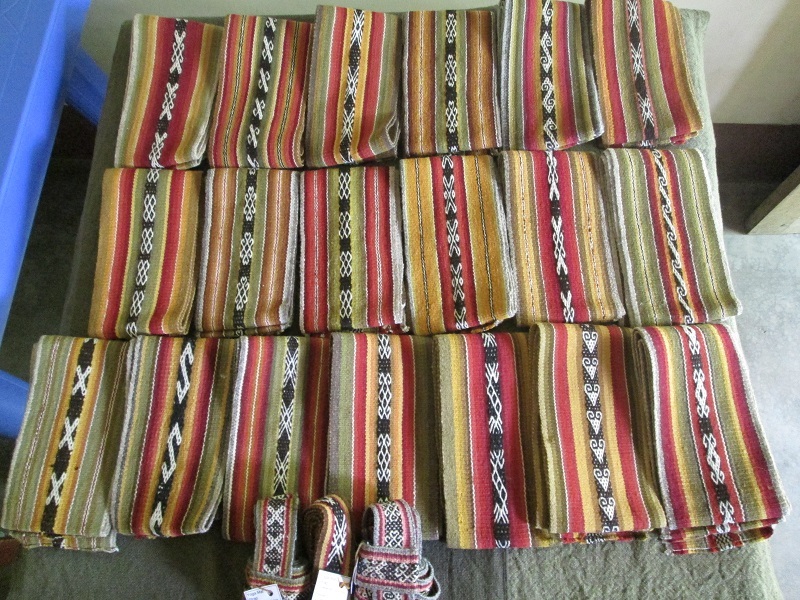 One weaver commented that she didn´t want her woven aguayo hit with either. The music began long before the dancing, and many a young man from the city picked up a drum or pipe. All were in western wear. Culture is dynamic, what will the young retain and what will they abandon? Street life in Independencia returned to normal the week after Carnaval which also marked the beginning of the school year. 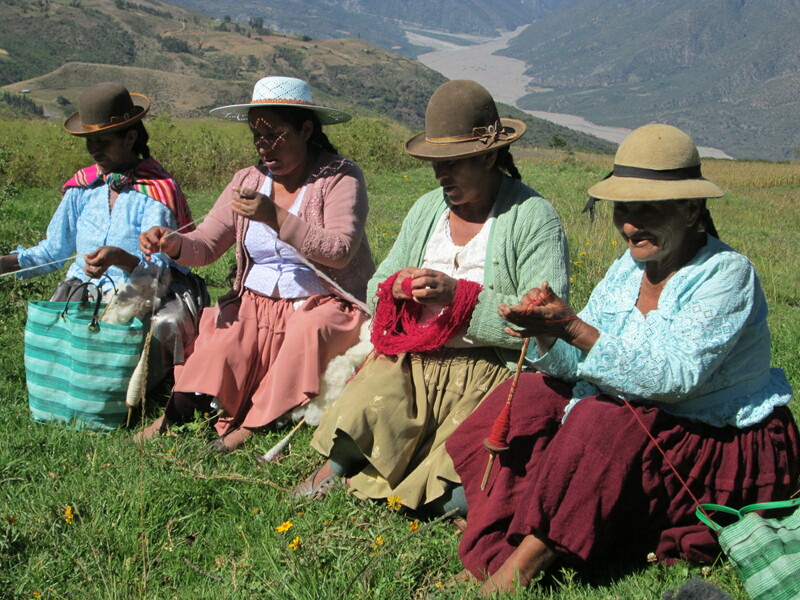 The Club de Artesanas (CdA) began a new session for the women on Tuesday the 16th. 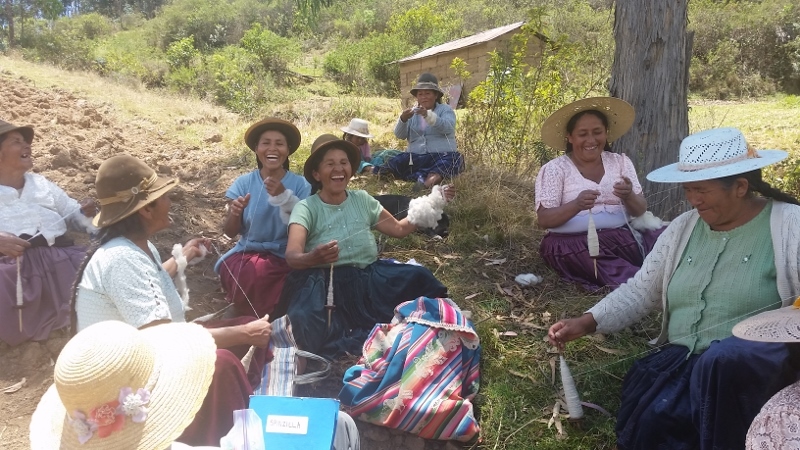 Sixteen year old Gregoria, a single mom, is trying out the Club because she is motivated to learn how to weave so she can care for her daughter. 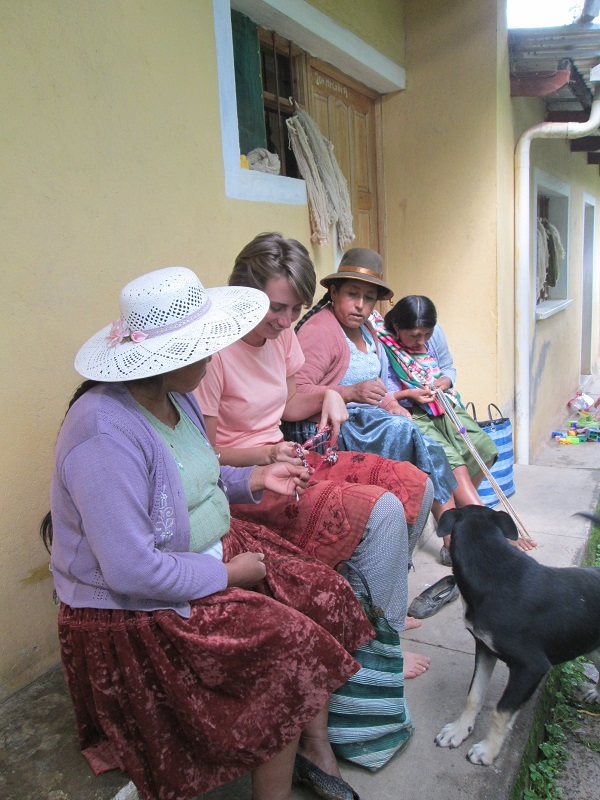 She and Annie Trowbridge, a PAZA volunteer began learning how to weave figures under Doña Máxima´s tutelage. Annie taught a drawing class which engrossed the women once they got over their initial reticence.